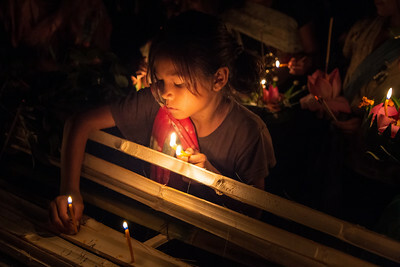 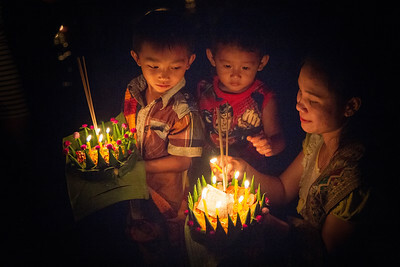 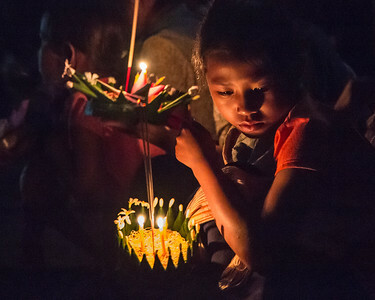 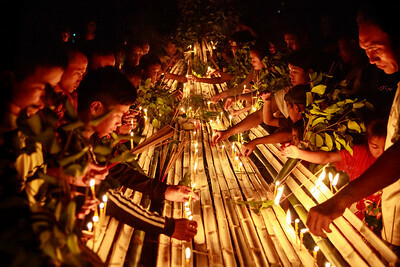 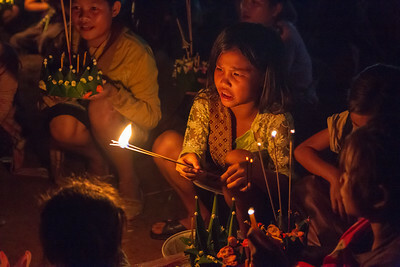 Buddhist Lent in Laos - Jonathan Look, Jr.
Khao Phansa, on the first day after the full moon of the eighth lunar month, marks the beginning of the three-month monsoon season and the three month period know in English as Buddhist Lent. 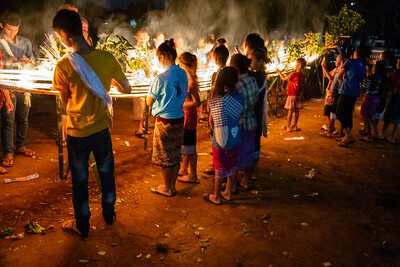 At the end of Buddhist lent, and coming out of the rainy season, there are more celebrations and festivals known as Awk Pansa. 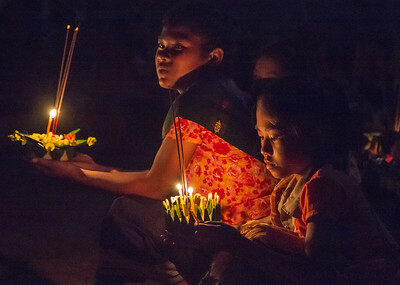 These images were made at a temple in Tad Lo, Laos to celebrate Awk Pansa. 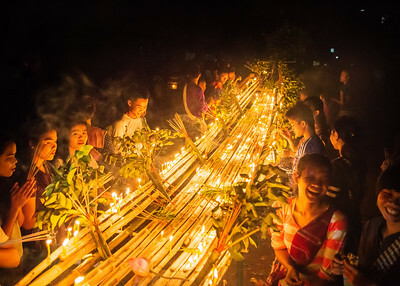 A boat was constructed of bamboo where worshipers could place candles that signify either their wishes or regrets and have them washed away in the water. 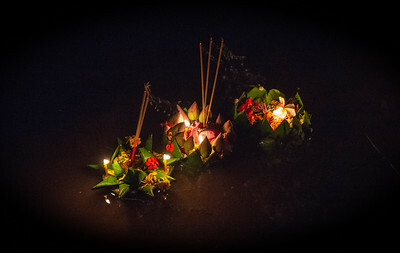 Many people also made floats, or "krathong", out of flowers and banana leaves that they placed on the river for the same purpose. 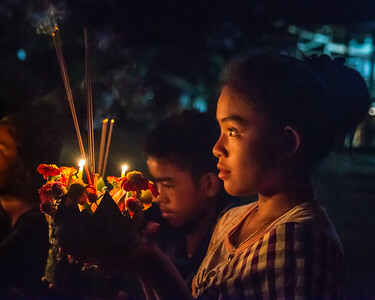 It was a beautiful site and a great way to spend our last night on the Bolaven Plateau.